A good time to buy or sell a business? Is this a good time to buy or sell a business? It is a decision many business owners, who hunkered down in the ill winds of the recession, may be presently pondering. On the face it there may seem some stark choices – sell while the future looks bright, buy before costs rise. You pays your money and takes your choice. But which is best? As ever, it depends on your personal circumstances. Any person selling a business wants the best price. That’s a no-brainer. But holding on as things get rosy, may prove to be a better bet. However that depends on your sector. Let’s say you trade overseas or rely on supplies from EU countries – who’s to say what effect the UK referendum may have? Then there is the care, attention and affection you have for your business. If you’ve lovingly grown it from scratch, the last thing you may want to see is your business ripped apart or substantially changed after you’ve sold up. You want to find a good buyer who can develop and grow it and maintain the reputation you carefully cultivated. The timing also has to be right. This may involve retirement or even succession planning. It may mean, after years of struggle in the economic downturn, hanging around to enjoy the fruits of many (hard) years of labour. Equally, if you’re looking to buy a business, the climate may seem favourable – but ploughing your hard earned saving into a failing business or one that is simply in the wrong location or dependent on other specific but no obvious factors could prove expensive. Understanding regional factors, the wider market and keeping an eye on the impact of economy can be crucial in advising people to reach the best decision. 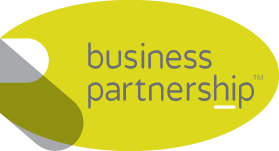 At Business Partnership we would heartily recommend owners to have their business valued on a regular basis so they know where they stand and can assess their own personal situation. This only works if the valuation is honest, accurate and thoroughly considered to meet the needs of the business owner. At Business Partnership, we have decades’ worth of experience and place a high value on professionalism, trust and discretion. The last thing you need is a commission hungry agent offering advice that suits his need for sales rather than what is best for you. Buyers also need to beware that the time is right to invest in a new business venture – especially if borrowing and personal investment are involved. Sometimes, the time is right to sell – but knowing your numbers and finding accurate advice on the best time to buy or sell is vital. For a fair and honest valuation of your business contact us now. Previous Post The business brokerage accountants and solicitors recommend Next Post What drives the UK’s entrepreneurs?